Rubber grips on handles for improved touch and feel. Adjustable ergonomic shoulder strap for better mobility and comfort while traveling. Detachable zipped interior pocket to store your cables and accessories. Reinforced EVA side panels provide structure to the case and protection to the contents. Laptop compartment with lockable zippers. Zipper pullers in gunmetal finish. Large zipped front pocket and smaller zipped front pocket with organisation features. 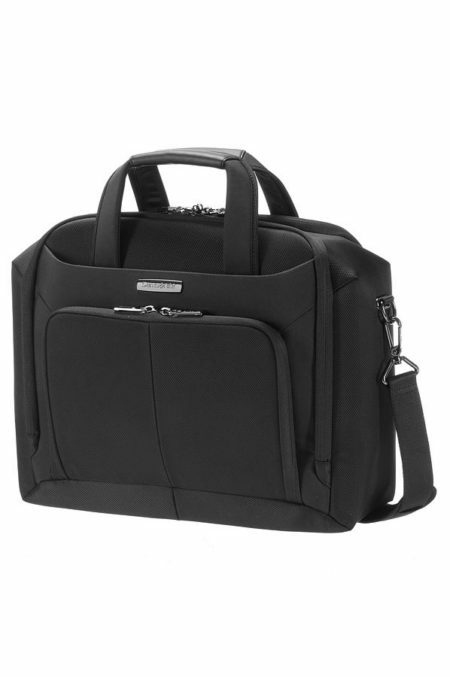 Padded and adaptable laptop compartment with a velcro security strap to protect and secure your computer whilst travelling.